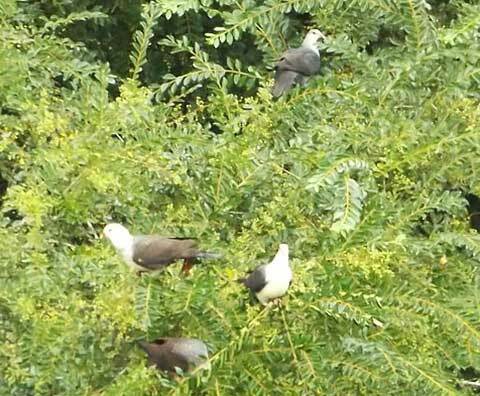 I am used to seeing splashes and dashes of black and white at a distance, in the tall trees along the creek, for the White-headed Pigeons feed there often. Near the house I am used to the Magpies and Butcherbirds strutting about in their dapper black and white outfits and singing their own praises. 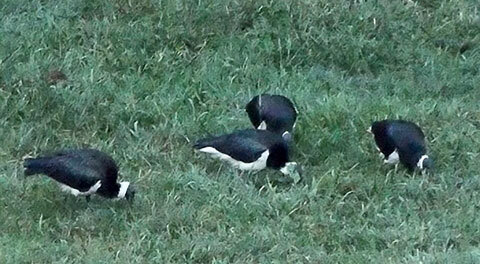 I am not used to seeing a flock of large unknown black and white birds feeding on the creek flat. I counted 22! From the house they looked as big as pelicans, but clearly weren’t. They were keeping their heads down, their beaks poked well into the grass, which was also long enough to hide their legs, so I was at a loss to work out what they might be. The camera zoom finally found me a couple who had ventured into shorter grass. Long beak, long legs. Ibis of a sort, but which? 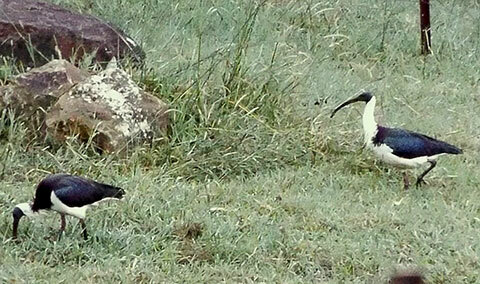 They had to be Straw-necked Ibis, the most common in Australia. 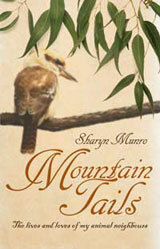 I could see the greenish sheen on their backs, and even if I couldn’t really see straw-coloured tufts on their chests, there were tufts. Being vagrants, they were gone by evening. But I am always grateful for even fleeting visits from wild creatures.